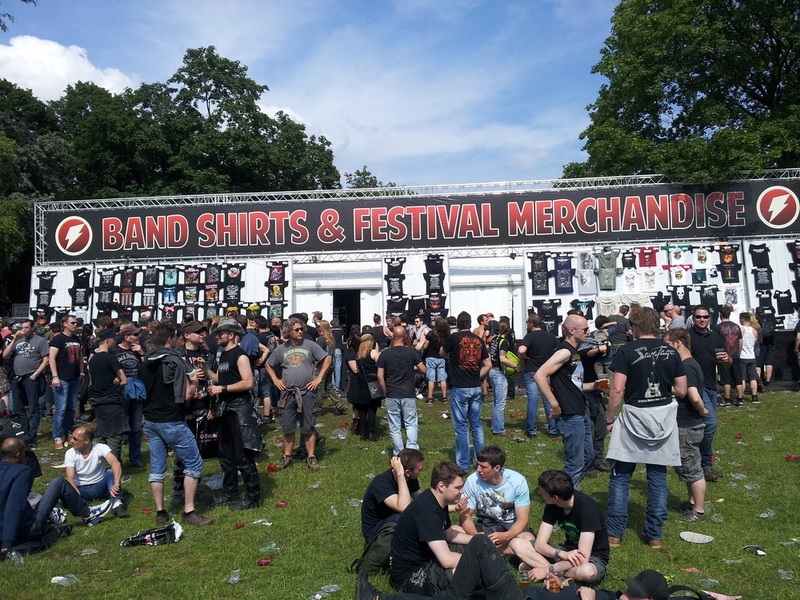 Having new merchandise made can be a risky business – just ask any band that's paid good money to see plenty of items with their name or logo plastered on something sit around and go unsold. It’s tough, because selling branded merch can be a great way to bring in some much-needed cash, but if you get it wrong, it can leave a bad taste in your mouth. Plus, you can lose not only money out of pocket, but also on potential sales and potential earnings. So, what’s a band to do to get it right? There is no magic trick that will tell you exactly what to order, in what sizes, and in what quantities, but there are ways to try and limit the number of missed opportunities or to get it just a bit more “right.” Here are a few ideas that could come in handy the next time you want to add something to your merch lineup. Are you looking to have very special, one-off merch made? Maybe you want to sell things with a certain city name, date, or event title printed on them? That’s tough to do, as it’s unlikely that you’ll sell hundreds of something at a concert in one location, but that doesn’t mean there isn’t some money to be made with this approach. If you have something extra special coming up – a reunion concert, an anniversary show, or an event dedicated to raising funds for a cause or charity – merch can help up the amount of cash brought in. Try any website that will make one item at a time to craft just a few of whatever you’re looking for. Example: want T-shirts that say “We rocked you, Denver!” but you’re only playing Colorado one night? Go to places like Spreadshirt or CafePress and have a dozen of these made. If you sell out, wonderful! If you’re left with some, try putting them up in an online store and seeing if they don’t eventually move. Even if you only sell a few, you'll be able to charge more for each one since they're special, so it might all work out. If you’re not sure if your fans are going to like a certain color, design, or product, why would you order a huge quantity of whatever it is? Sometimes you’ll have a few of this or that left over as sales slow, but what could be worse than having boxes and boxes holding hundreds of a certain kind of unsold merch that will seemingly never leave your possession? If you’re not positive about something, but you want to give it a go, try ordering a small quantity to begin with. Sure, the prices are usually higher for smaller purchases, but it’s typically better to make a bit less per sale to fans than to have a ton of extras sitting somewhere gathering dust. If you only have a few items, you can also advertise them as special or limited edition, which might convince some fans to snap them up immediately. If this new product does well, why not order more of it? Having merchandise made doesn't have to be all guessing! Feel free to ask your fans what they like and what they would want to see you offer in your online store and at shows. Maybe you don’t have enough options when it comes to T-shirts, or perhaps a number of people would love to buy shot glasses with your logo for them and their friends. You may think that your catalog needs one thing, when really the people are waiting for something entirely different, even if they don’t realize it. Asking those who love your music when you interact with them on social media or at shows isn’t foolproof, and as I mentioned, it’s very possible that many of them won’t be able to properly answer the question, as they won’t know what they want until it’s put in front of them. That’s okay, because the data you collect from this “research” should be supplemental. You should already be thinking about what you want to create and taking the fans’ ideas as input, not the gospel truth. This is just like asking your fans straight out, but it’s a bit more organized. Instead of simply questioning people about what they want, try giving them a few options and seeing which ones are the most popular. A great way to do this is with polls, which only allow those tuning in and participating to choose one of a few items. There are plenty of places where you can run a poll, including on Facebook (if you have a business page) or on Twitter, which might be your two best options, considering that many (if not all) of your fans already spend a good amount of time on these platforms. If you want to go off social for this experiment, there are plenty of websites where you can quickly set something up, such as Poll Maker, Doodle, or SurveyMonkey. Thanks to the rise of crowdfunding sites like Kickstarter, the public seems to now have gotten behind the idea of a product not being made available until a certain goal is met, since that helps raise enough funds and it ensures that there is real interest for something to be created. If it works for new inventions, why shouldn’t the same idea be a good fit for new merchandise? Feel free to start selling a certain design on your website, but tell everyone that you won’t actually make the thing unless you move a certain number, or until a certain amount of money is made from the sales of that item. You can do this simply by keeping track manually, or you can use a service like Kickstarter or any of the other crowdfunding options. I would suggest keeping the threshold low, since this isn’t a tour or an entire album you’re looking to fund, but simply a new T-shirt design.